This series contains mainly decorative types as well as a few cactus- and ball-types. 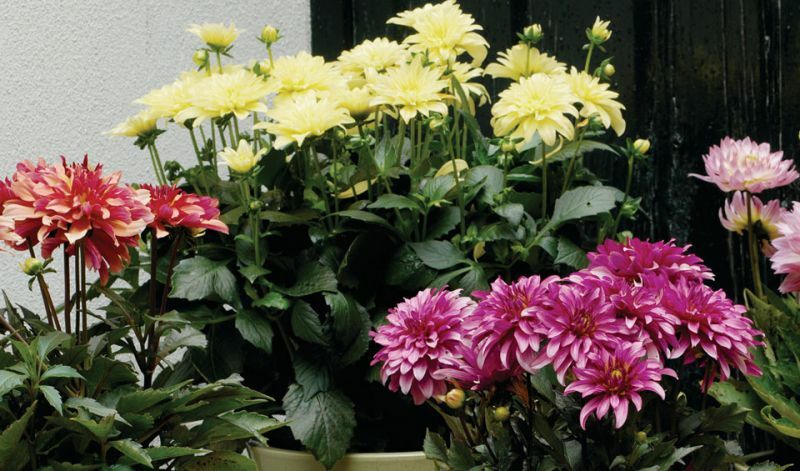 They are compact, low-growing, freely branching and floriferous dahlias. Flower diameters vary between 4-6" / 10-15 cm. 'Bolero' (red), 'Dixie' (lilac & white), 'Gipsy' (pink & yellow), 'Latin' (yellow), 'Lizza' (white & pink), 'Mambo' (dark red) and 'Swing' (orange).